« The Turner Prize 2009: Will it be a Turn Up? Short and sweet. Time has really flown today. In between all the stuff I’ve done (of no interest to anyone apart from me who has been riveted) I’ve left it quite late to do my blog. 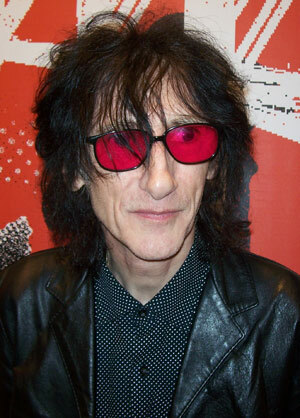 Listening to the great John Cooper Clarke. Who? Oh come ON everyone has heard of him surely? the Salford poet? very sharp very funny, own style, very witty? No? 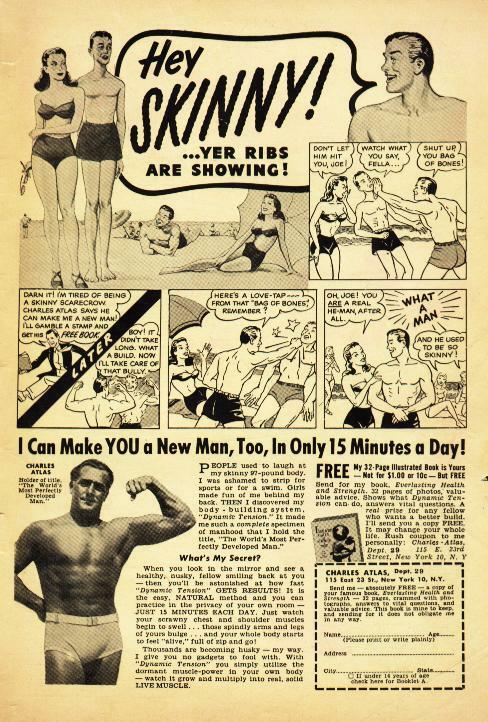 The Bronze Adonis Got her….My brother used to send for those Charles Atlas magazines, inspired no doubt by the cartoons of puny men having sand kicked in their faces. We thought we had it bad as women…all THEY had to do was grow muscle…….. and all would be THEIRS? Nice to know it wasn’t just US that fell for the body propaganda isn’t it. the BRONZE ADONIS got her……. This entry was posted on December 2, 2009 at 12:16 am and is filed under POETRY with tags john cooper clarke, POETRY. You can follow any responses to this entry through the RSS 2.0 feed. You can leave a response, or trackback from your own site. A few years ago I made a cheesy pastiche 70’s Xmas single and asked Johnny Clarke if he would voice the Fairy on the Tree for me. He very kindly agreed and can be heard introducing the recording as the somewhat sinister fairy. I just had it remastered and have put it on iTunes for your listening pleasure. Merry Xmas!